This recording is called the Dalai Lama Healing Mantra. His Holiness the Dalai Lama loves this healing chant. Please feel free to share this page. Following the Dalai Lama's wishes, the link to the mp3 above is available to all, feel free to download this Dalai Lama Mantra. The story behind the recording: A beloved friend of the Dalai Lama, another monk, was making his transition from this life to the next. Not, it might be said, as a trauma or a lost cause, but as a joyful journey at the correct time and with understanding of life beyond earth life. The Dalai Lama sat at his friend's bedside and chanted this chant for hours until the monk, with joy and peace, made his crossing. Those who were present begged the Dalai Lama to record the chant so that it might be shared with the world. He agreed to do so only if it was stated that the recording could never be sold, but only given away. This MP3 is the result. It is not for sale but is meant to be copied and shared. This Chant is one of the most sacred and powerful mantras used for healing. It has truly wondrous therapeutic power when chanted or listened to regularly. Mrityunjaya Healing Mantra will help you to know the divinity within. It is chanted to know eternity. The mrityunjaya mantra is considered one of the maha mantras or great Sanskrit mantras because of its potency to give protection and manifold blessings. Maha mrityunjaya literally means the great victory over death. It is associated with Shiva, the destroyer of ignorance, and the liberator from the cycle of death and rebirth. It is therefore a life giving mantra that not only protects the physical body and gives health, but purifies the mind at a deep level. 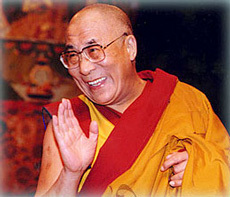 You can find Dalai Lama healing Mantra Chant on the following site as well http://www.word-designs.com/healingmantrasung.htm. Now listen to Dalai Lama Chanting Healing Mantra - let these vibrations inundate you, feel that healing energy. this is not the Dalai Lama chanting its Hein Braat from the Netherlands. Please check your facts about the mantra. Your story may be true but it isn't the source of this mantra. A simple web search will reveal that.